Bharti Airtel now has 281.25 million subscribers while Vodafone and Idea Cellular have 210.54 million and 193.95 million subscribers respectively. Jio remains fourth with a subscriber base of 123.36 million. 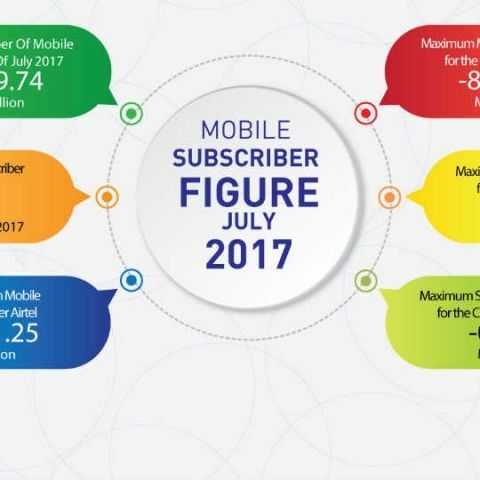 Bharti Airtel maintained its leadership position in the Indian telecom segment by adding 6 lakh subscribers in the month of July, reveals new data released by COAI. The new data from Cellular Operators Association of India also shows that Idea Cellular and Vodafone India together lost over 3.7 million subscribers last month. Idea Cellular and Vodafone India lost over 2.32 million and 1.38 million subscribers respectively in the month of July. Idea Cellular and Vodafone India are expected to complete their merger by 2018. During the month of July, Aircel and Telenor lost nearly 3.9 lakh and 2.75 lakh subscribers. Bharti Airtel now has 281.25 million subscribers while Vodafone and Idea Cellular have 210.54 million and 193.95 million subscribers respectively. Airtel's market share jumped to 29.61 percent, a gain of 0.21 percent over the previous month. Meanwhile, Vodafone India and Idea Cellular's market share has dropped to 22.17 percent and 20.42 percent respectively. The two major telecom operators lost 0.66 percent and 1.18 percent respectively in market share over the previous month. Aircel lost 0.43 percent market share while Telenor's share was down by 0.58 percent. The total subscriber base in India now stands at 949.73 million users including Jio's subscriber base. TRAI data for the month of June suggested that Jio added 6 million subscribers and has grown to 123.36 million. The Uttar Pradesh East Circle has maximum subscribers of 84.16 million while Karnataka added 0.32 million subscribers in the month of July. "The increase of subscribers in Maharashtra, UP East, and Karnataka showed that the sector was in a strong position as far as subscriber numbers go, and showed that the increasing investment in infrastructure in those states was showing fruition. However, the extreme financial stress being experienced by the industry currently is likely to show its impact in these numbers," Rajan Mathews, Director General, COAI said in a statement.